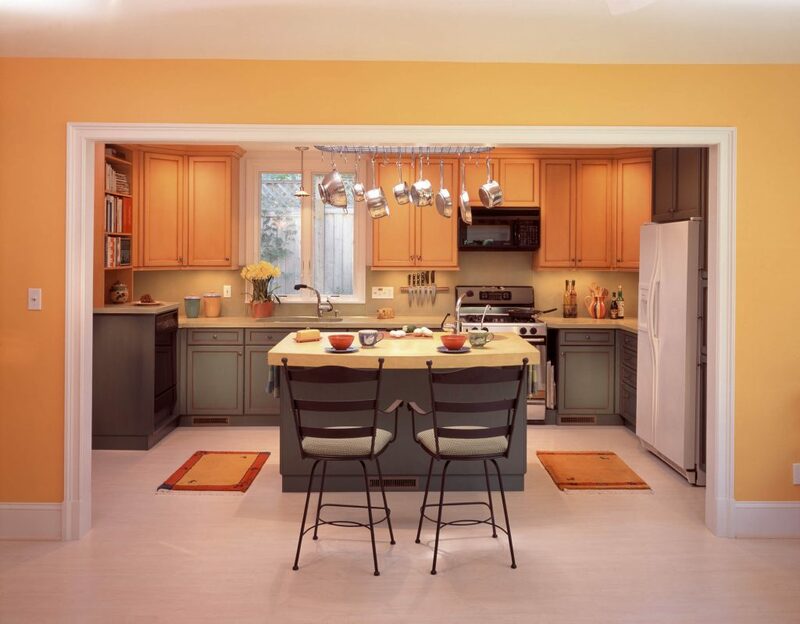 How can you have an open functional kitchen and family room without it looking like a great room? Here’s a trick to up the cozy factor: Drop a header between the kitchen and family room—and add a sunny island retreat—to create an airy space that’s casual and comfortable. 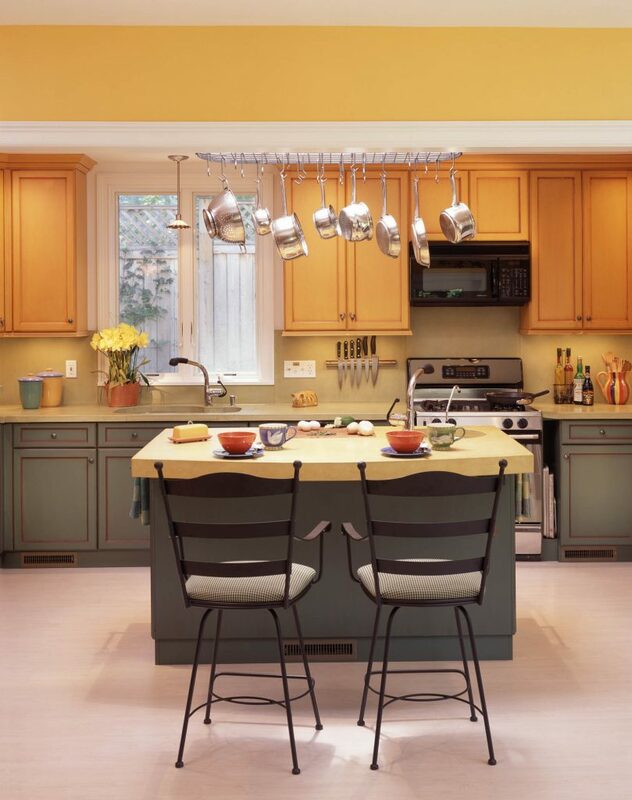 Saffron wall cabinets and olive base cabinets with a wine rub combine with light green concrete counters and a yellow-topped island to create a sunny Provencal flavor. A pot rack and stainless range add sparkle and sheen. 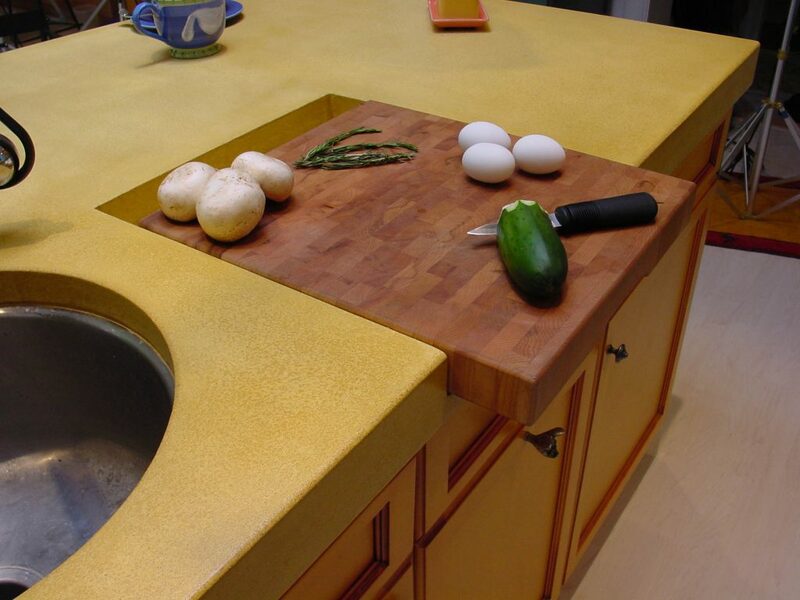 Sinking a butcher block cutting board—removable for easy cleaning—into the extra-deep concrete counter makes quick work of food prep while saving on storage space.